Community Builders Tulsa believe that changing a house so that it is fit for someone with a disability or who is in a wheelchair is a major task but an undoubtedly necessary one. The adaptations will have to be unique to the house and to the person’s disability and the structure of the building. Remodelling may also be done as you are getting older and want to remodel your home as you do not want to leave that house with all its memories of your family and friends. The main areas that get remodelled as well as the walkways which may need widening are the kitchen, bathroom and the stairs. People may find it difficult to climb the stairs and railings or stair lifts are common additions. Sometimes older people just feel frightened to try and climb the stairs as they get older, especially if they have had an accident or a fall, therefore, extra rails and so on will make them feel more secure. In the kitchen, cabinet drawers and handles may be lowered and appliances may be accommodated in lower parts of the kitchen. Kitchen facilities can also be changed to work via a sensor or remote control where required. The bathroom is the most common area for renovation or remodelling. Older or infirm people will struggle using the bath, shower and toilet and these are not things that we can avoid. The amendments here can be grab rails to avoid slips and falls again if there have previously been any falls the person will feel frail and vulnerable and even scared. Removing the curb from the shower is a common occurrence along with remodelling the shower to include a bench and a hand shower so that it is easy to use and to get in and out. A sink can be replaced with a model that is hung on the wall so that a wheelchair can pass beneath it. Non-slip flooring is also good for peace of mind along with a higher toilet which is a very common requirement. Often people feel more secure with having an intercom fitted or a key box outside their home which allows people who know the code to enter. This helps them feel secure and have peace of mind if they’re no longer as agile and stable as they were. Ensure that you check if you need a permit or authority to make the amendments that you require. Also,checkout whether you are eligible for any funding to help you with the costs. The state often realizes that it is beneficial to people’s health and wellbeing to remain in their own homes. There are also small amendments that you can make, remove any rugs and other obstacles such as small tables, use anti slip mats or rubber mats with grips instead. Removing cords and cables and replacing with low down switches can also help; also removing or amending hinges. It is wise to make the hinges rounded to prevent any injuries. Wall switches and outlets also need to be around 30 inches high to make them also accessible. 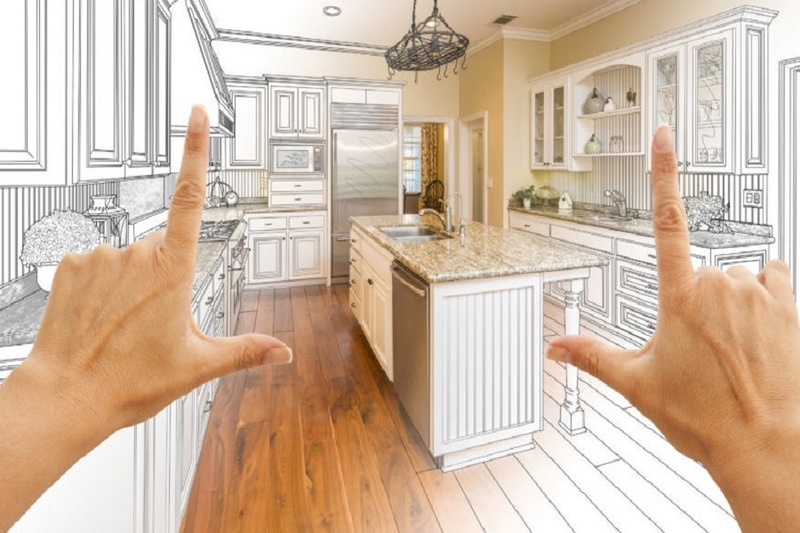 Making renovations can also help maximize the valuation of your home.